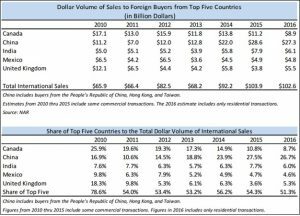 According to the National Association of Realtors (NAR) 2016 International Home Buying Report, Chinese foreign buyers were the top foreign purchasers of real estate in the United States – in terms of the number of units purchased and dollar volume. People from China, Hong Kong or Taiwan bought $27.3 billion worth of residential property between April 2015 – March 2016. That is a quarter (or 26.7%) or of all international residential property sold in the U.S. by dollar volume (See Exhibit). 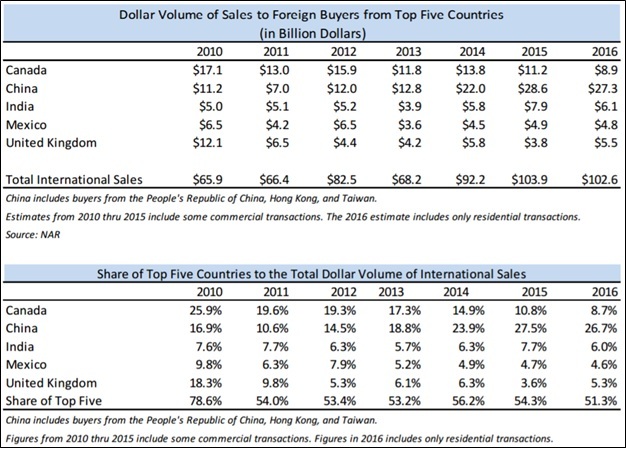 By contrast, Canadians, America’s second largest group of foreign real estate buyers, purchased only $8.9 Billion or 8.7% of the total dollar volume of international sales. What does Donald J. Trump’s presidency mean for Foreign Investment in the U.S Real Estate Market? Per Mansion Global, an international luxury real estate website, while issues such as immigration, and racial and community tensions could have an impact on the U.S. real estate market, Chinese and Canadian investors are taking a wait-and-see attitude. 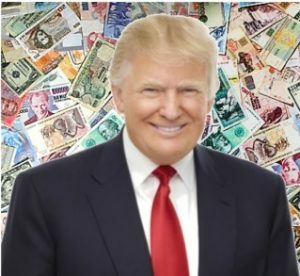 The United States real estate market for quite some time has been favored by foreign investors because of our economic principals and our business environment, and that unlikely to change in the short-term. It’s more likely that in the short-term, investors will instead make their decisions based on currency movements 1.